Are those backyard insects driving you crazy!! So many folks have become locked in to chrysanthemums as the only way to have fall color in the perennial garden, but we’d like to suggest you try sarracenias. These North American natives are simply stunning this time of year. Taken this week, this photo is a pot of Sarracenia ‘Daina’s Delight’ that’s been growing, untouched, by our front walk for over a decade. It’s potted in pure peat moss, with no drainage holes in the bottom of the container, but a couple at soil level on the sides to prevent standing water. At least a few hours of full sun is necessary. Fall is a great season for many of the pitcher plants, which produce beautiful new pitchers now. 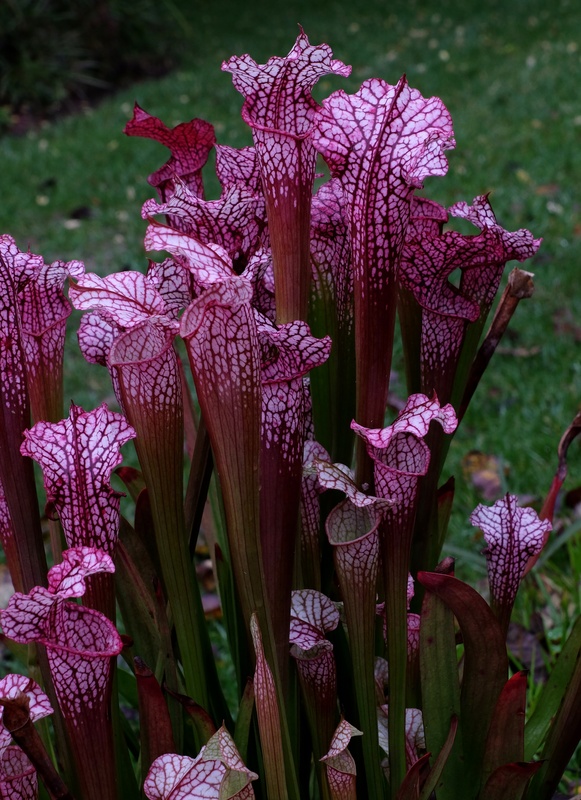 Here’s a photo from yesterday, showing the lovely Sarracenia ‘Bug Bat’. 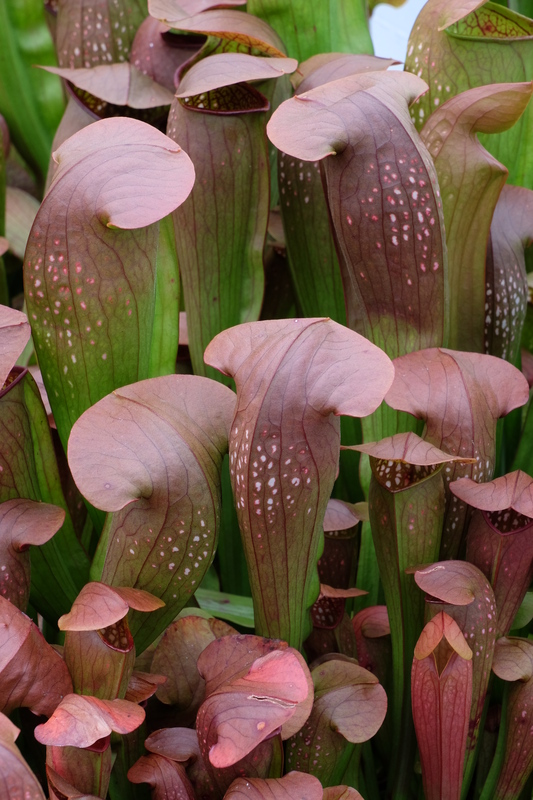 Pitcher plants are easy to grow in full sun, organic soil with low nutrient content, and in a garden site that stays moist, but not wet on top.